All About PDF Files And Its Security Removal Process! Adobe Acrobat PDF files are considered are most secured way of disclosing information over internet. This is why lot of people engaged in different profession relies on PDF files to store confidential information. One of the most common factors why PDF files are so widely accepted is its security features, these files can be secured using passwords, digital certificates or right management. Distributing PDF documents amongst sponsors, official staff, co-workers, and clinical staff are often protected to prevent leak/misuse of information. Secured PDF files are not accessible by unauthorized users that indicate that it is not possible to add links, bookmarks or any alteration in documents. But this undoubtedly become a curse for professionals who need to get full access of secured PDF documents too organize compliance. In this upcoming segment we will discuss about how to identify security and ways to remove from PDF files in bulk mode using Adobe Acrobat Pro version. 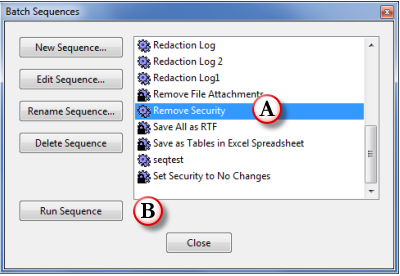 In the bottom line of the section a professional tool PDF Unlocker Software is also suggested to allow users remove PDF file security. If you have Adobe Acrobat Pro installation in system and passwords are known then security of PDF files are removed easily. After security is removed from PDF file certain actions like editing, printing, copying and extracting data will be allowed. But first of all what is required is to identify security on PDF file. When PDF file is opened and cannot be used to edit its contents it means the file is protected with User level security. To identify, open PDF file and go to ‘Secure’ option in menu bar. 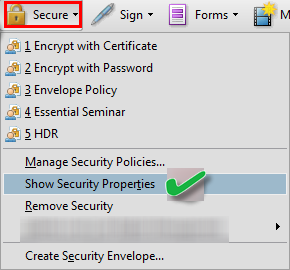 Click on Secure button and choose ‘Show security properties’ from list of options. On the other hand if PDF file are denied to open and preview its contents then it means that Owner level security is assigned on PDF files. The kind of security is only applied by administrator of file and does not permit other users to open document. 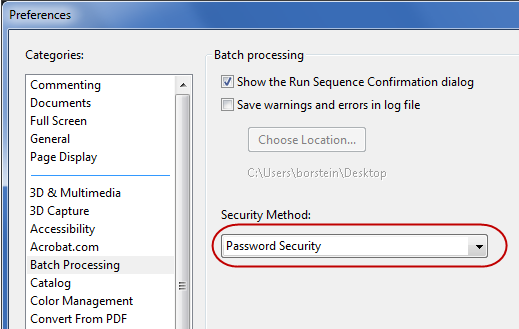 Before removing security from PDF files, users are required to alter a preference so that Acrobat does not permit for password when batch sequence is executed. 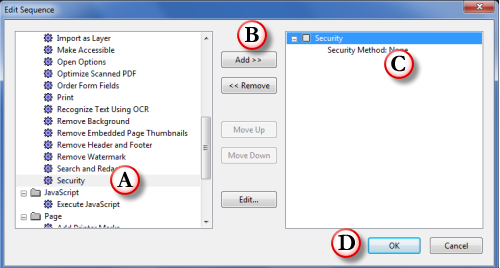 Collect all PDF files you wish to remove security and save them in new folder to make security removal process simpler. Now to locate the files, select all and click Select option. The files will be unlocked and saved at system of user. 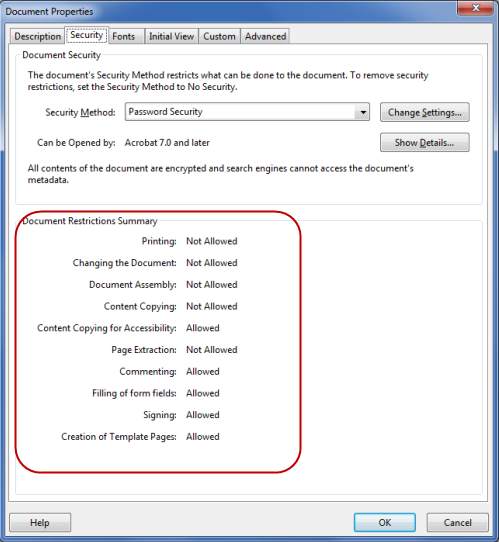 The above listed process unlocks secured PDF files in bulk mode only when you have adobe acrobat installed in system. The installation of Adobe Acrobat is an highly paid service that cannot be acquired by all types of users. Only high class users can afford to it, also it requires a sound technical knowledge about Acrobat. 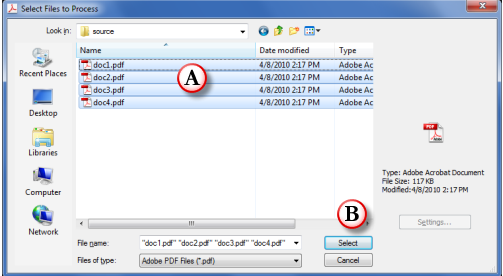 The time management is also required while unlocking PDF files using Adobe application. Therefore, to avoid all these hassles users prefer to adopt third party tools like PDF Unlocker Software that does not need dependency of any specific platform to run. Plus the benefit of using commercial tool to unlock PDF files is it does not require any special knowledge to run the tool. The tool does not hamper any original data of PDF files and retain all metadata during security removal process. You can also try Aplus Free PDF Security Remover from below link. It works perfectly for me and also free to use. Never need to pay any charges for this software. It also has Aplus PDF Password Remover software for removing user password. In case, if your document is not locked with open password then use free version of PDF security remover else go with PDF password Remover.